This week has been so busy that I have to admit I haven’t done a SINGLE thing to prepare for Easter yet! 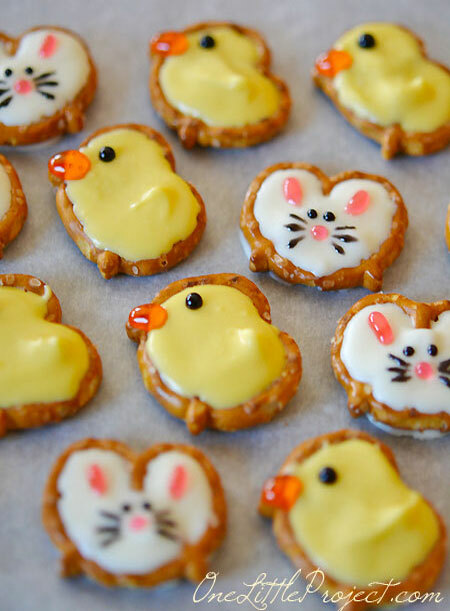 If you have procrastinated like me are are still needing Easter crafts and menu ideas then look no further–there were a ton of fun Easter recipes & DIY ideas linked up this week! I’m feeling inspired! 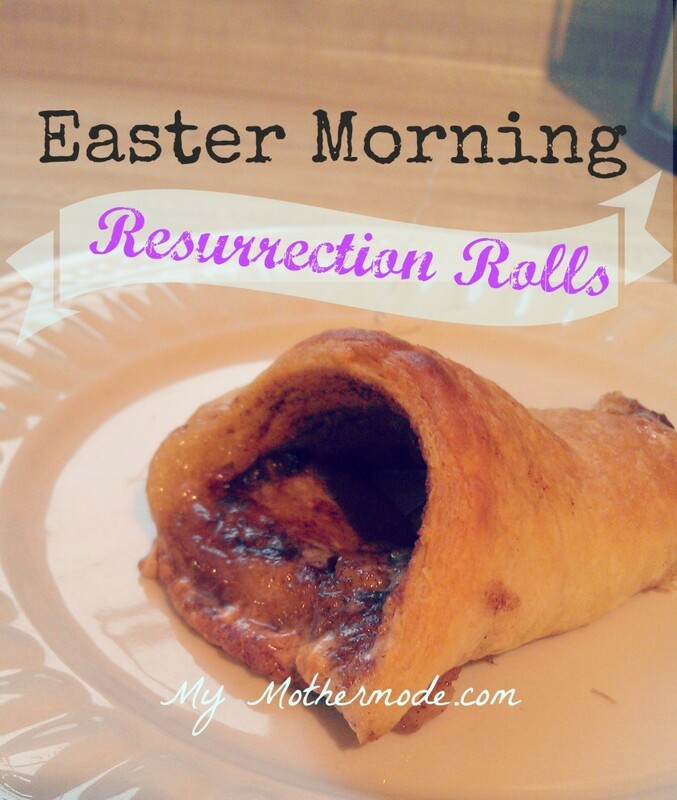 First of all, My Mothermode shares her simple recipe for Resurrection Rolls. These are such a neat way to represent the true meaning of Easter! 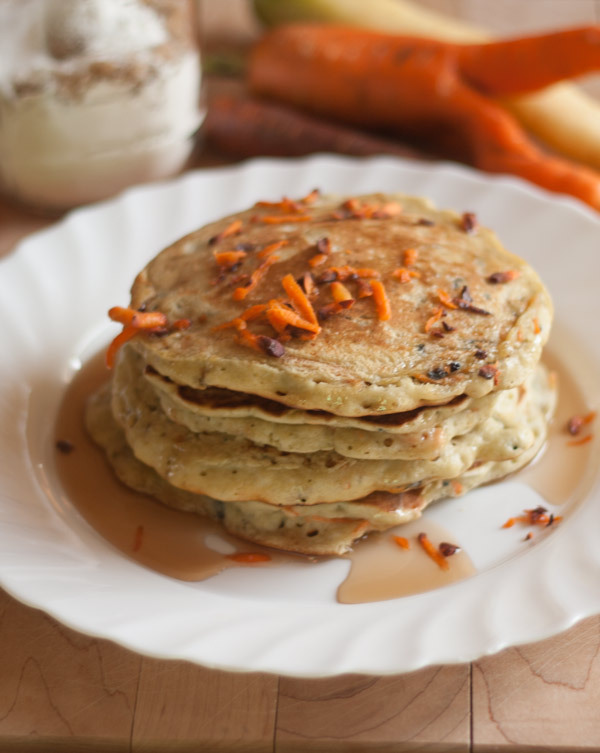 These Carrot Pancakes from All She Cooks take only minutes to whip up and would be a unique and tasty way to start the day! 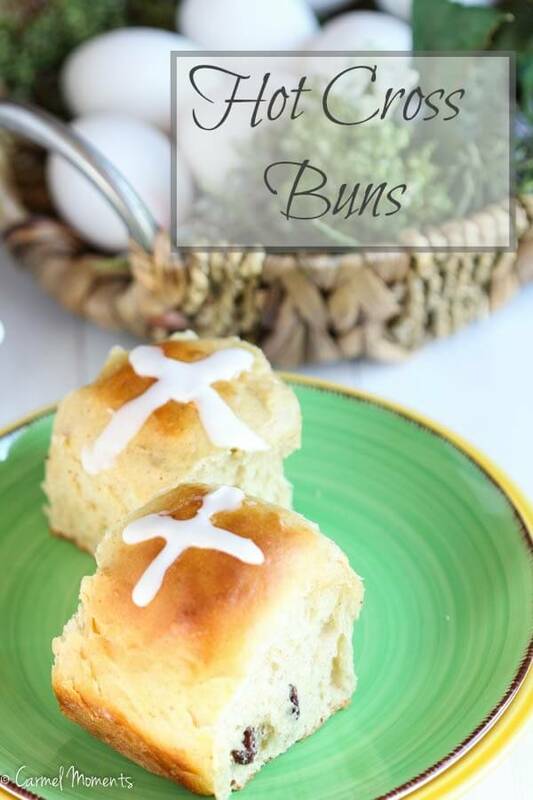 These Easy Hot Cross Buns from Carmel Moments might be the perfect compliment to your holiday meal! Looking for a way to use up all those hardboiled eggs? 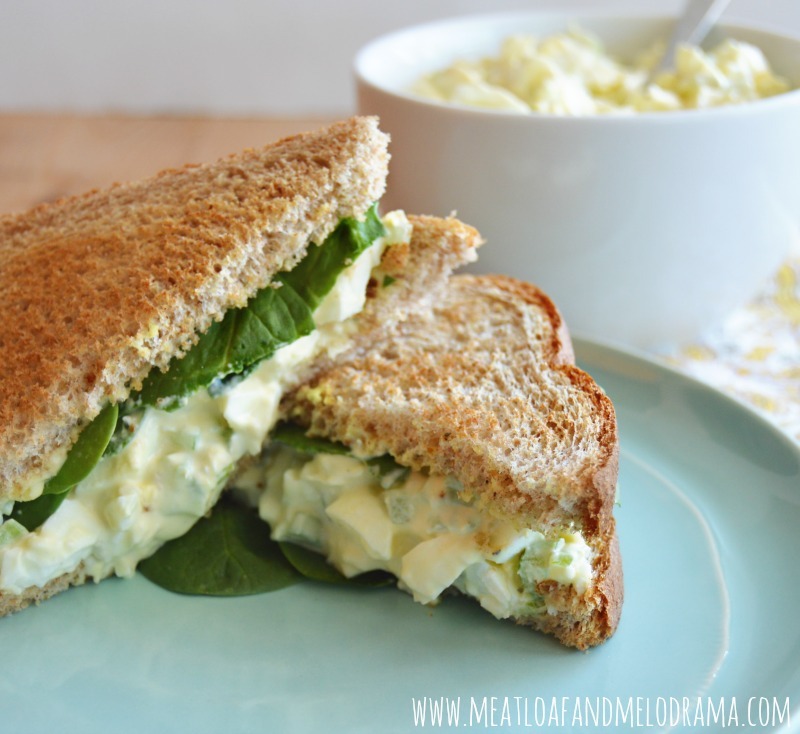 Why not whip up this super simple Egg Salad from Meatloaf and Melodrama? 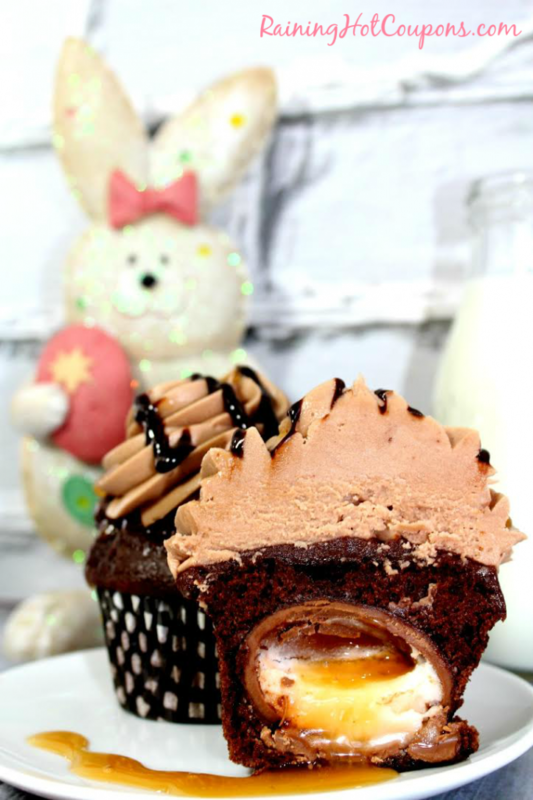 Moving on to the sweeter stuff….these Cadbury Ganache Buttercream Cupcakes from Raining Hot Coupons are so rich & decadent that your teeth might actually fall out while you are eating them! Worth it? Perhaps…. 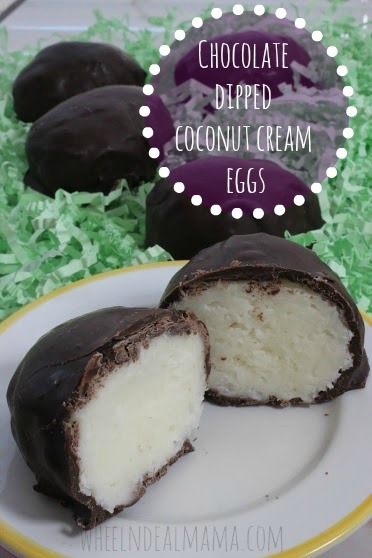 These homemade Chocolate Dipped Coconut Cream Eggs from Wheel n Deal Mama sound so much yummier than the store-bought variety! These deceptively simple Candy Carrots from Crafty Journal look complicated to make, but are actually super easy! Can you tell I’m all about simple and easy this year? 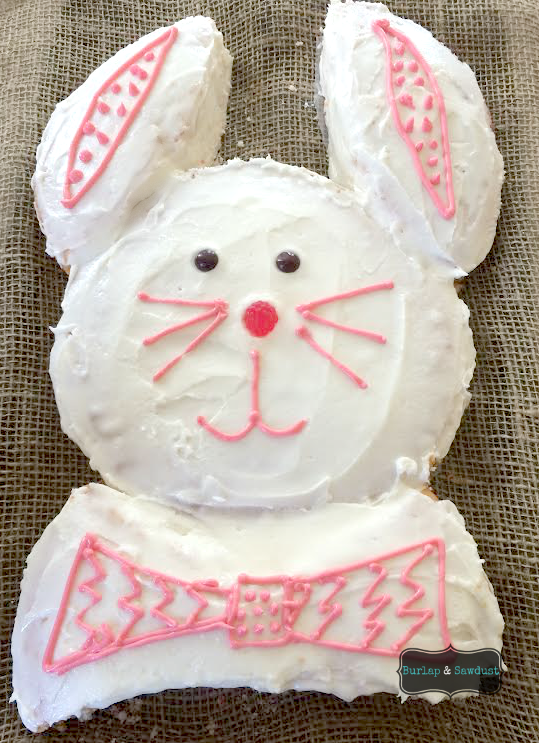 This adorable Bunny Cake from Burlap & Sawdust is also a great way to cheat your way to an easter menu–it is made from two round cakes! 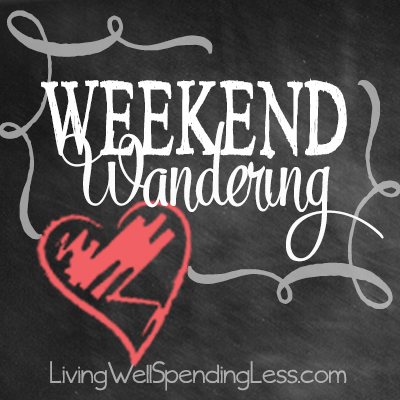 Onto some sweet & simple DIY ideas…. 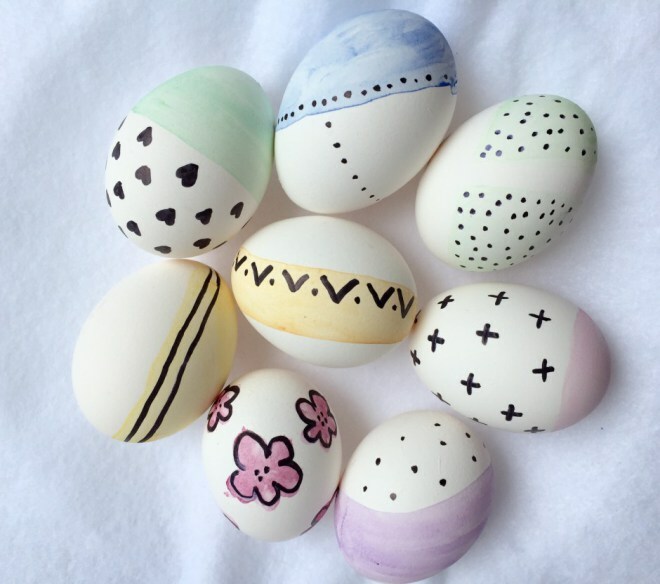 These Watercolor Easter Eggs from Three Loud Kids are a great alternative to messy dye! 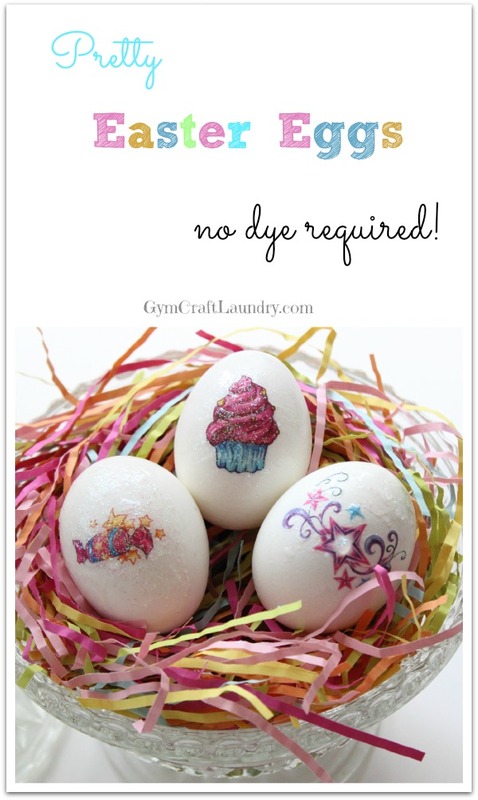 Likewise, this Easy No Dye Easter Egg Idea from Gym Craft Laundry uses temporary tattoos and glitter glue! Genius! 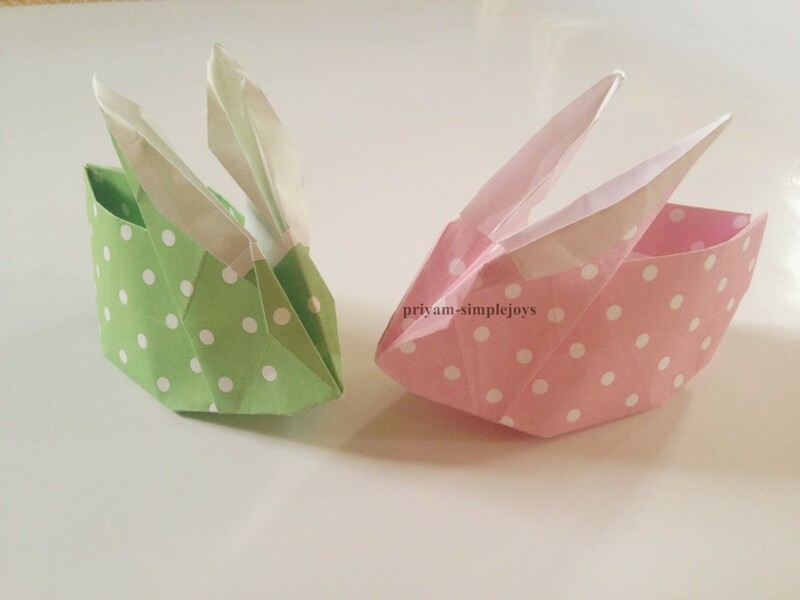 These Origami Rabbit Baskets from Simple Joys are so cute! 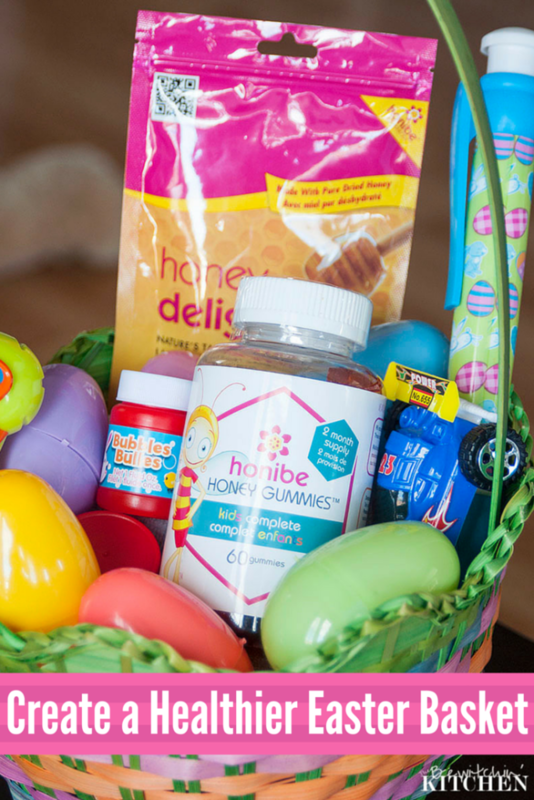 The Bewitchin’ Kitchen shared some great tips for Building a Healthier Easter Basket! 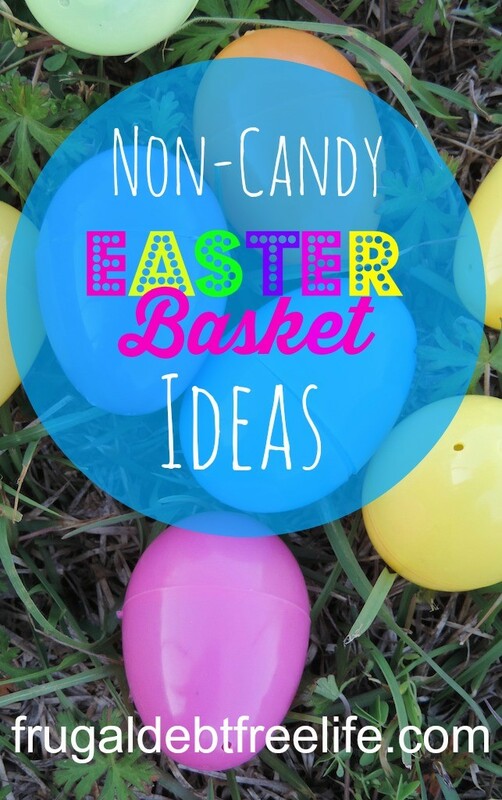 These Budget Friendly Non-Candy Easter Basket Ideas from Frugal Debt Free Life are perfect for last minute basket ideas! 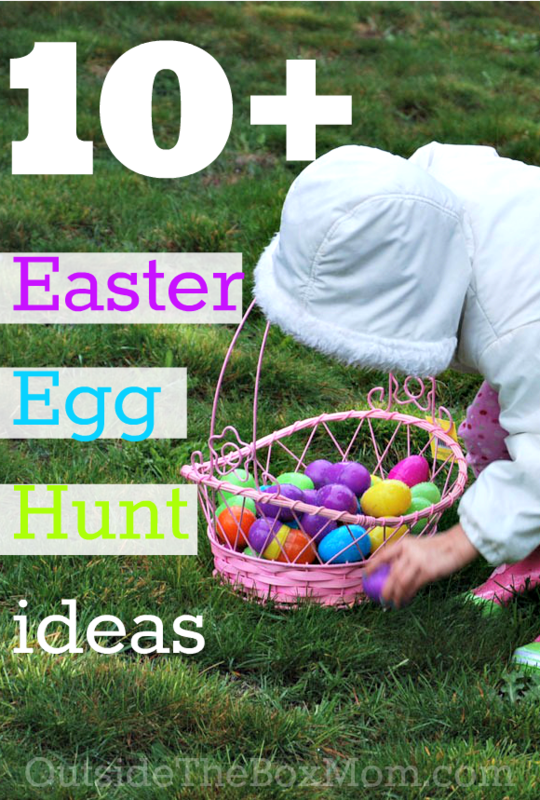 These 10+ Easter Egg Hunt Ideas from Outside the Box Mom are really clever! 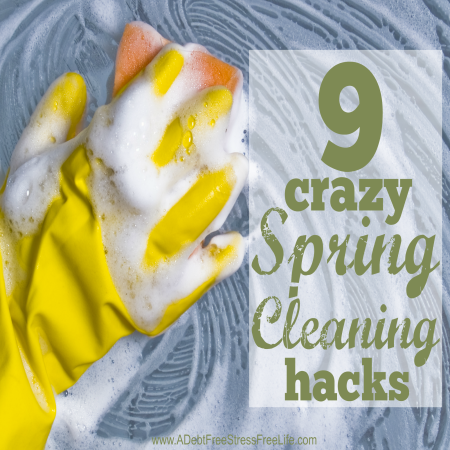 I loved these 9 Crazy Spring Cleaning Hacks from A Debt Free Stress Free Life. 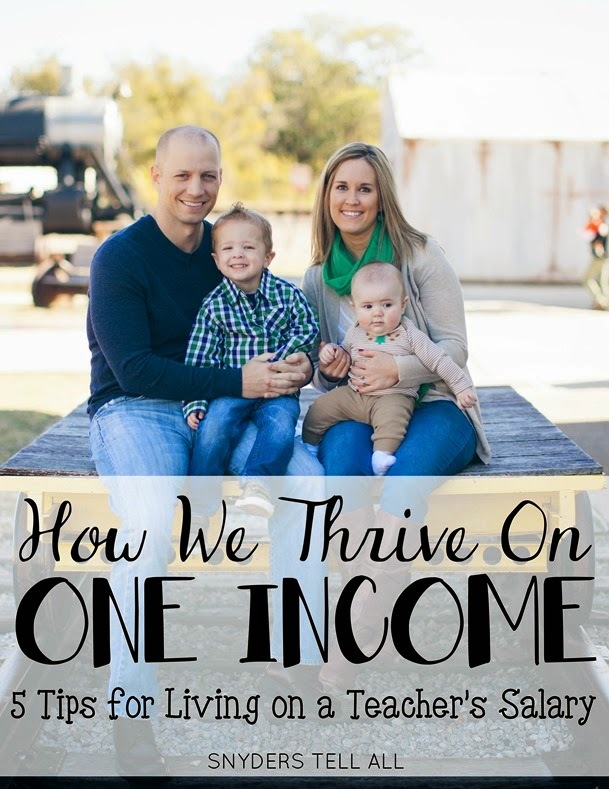 How We Thrive on One Income from Snyder’s Tell All shares 5 tips for living on a teacher’s salary. Tip number four is so important! 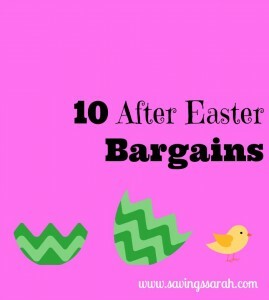 Finally, Earning and Saving with Sarah Fuller has a list of 10 After Easter Bargains to take advantage of! 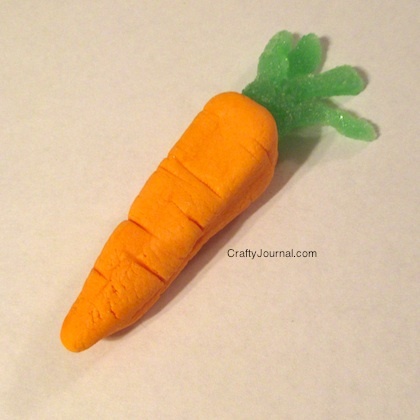 Thank you so much for featuring my Candy Carrots! There are so many good ideas here! Have a great day. I am so late to this but THANK YOU for sharing! You are so kind.